I have been intrigued recently by apeice of the puzzle which I wasn’t sure about. I know that the local farmers used to grow silk coccoons every year as a “crop” and an important source of yearly income. I have found a good many of the artifacts involved and been able to somewhat peice the process, the story, together. Recently, I had even found this (see photo). 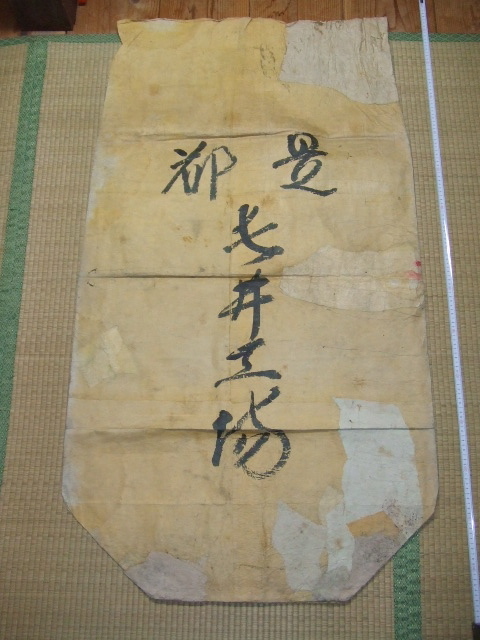 It is a giant washi sack used to collect up all the coccoons in for transport from farm to factory. 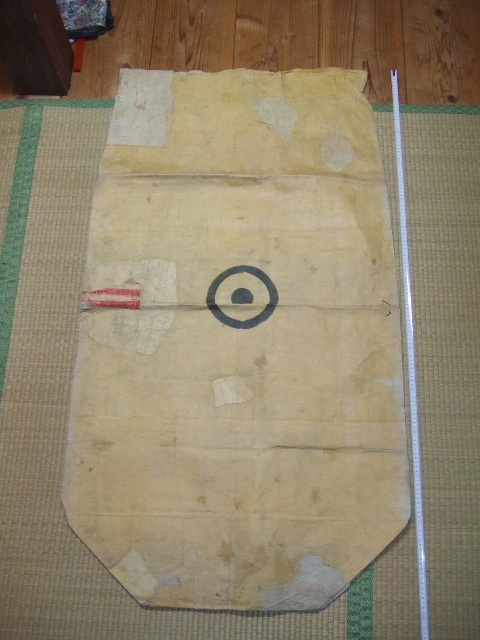 This one has the mark of the Gunze company, a popular underwear company herein Japan even today. The back side says “Ooi Factory”. It is bound for Ooi in Kyushu. And I had often heard of the country folk using the lower quality, badly formed or otherwise unsellable coccoons to spin string, weave silk and create their own clothing. Basically, homespun and home woven. And so I figured a certain amount of the silk which I was acquiring was said “homespun ” silk. I would find rolls with very uneven selvidges or with more imperfections than most commercially machine-woven fabrics tend to have. And i would wonder….Are these the homespun fabrics? Today, I had a chance to check while talking with a friend in Mino City nearby. She is an older woman who deals with old fabrics and remakes old kimonos into modern “Western” clothing, and she is where I go to get answers when I overflow with questions. I brought with me one of the rolls I suspected, and asked her. And sure enuf, she told me it is “uchi-ori”, or home-woven. Slowly , but surely, the whole picture becomes easier to see, easier to imagine. because it is really not so far gone at all, here in Japan, especially here in the country. It’s right underneath the surface, and takes but a scratch to become exposed. 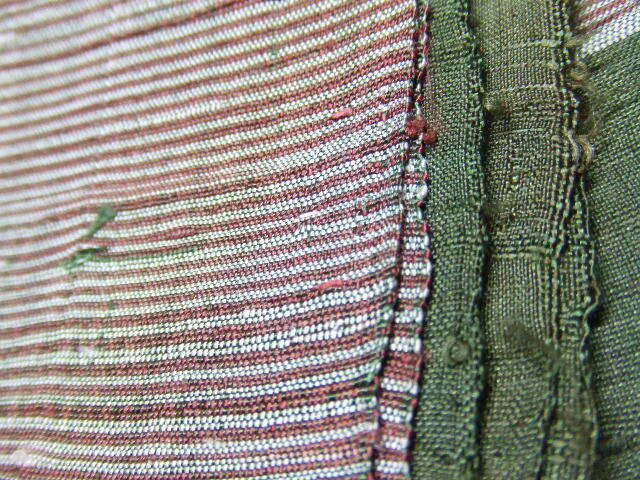 This green, red and white fabric is a recent acquisition from a very old ryokan, or “inn”. The place is over 200 years olsd! 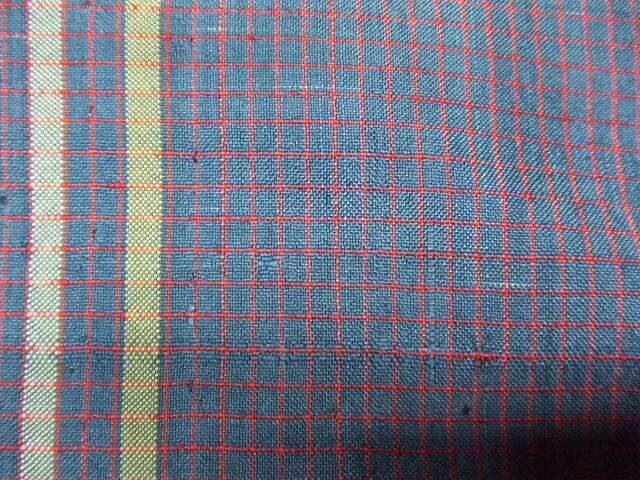 The fabric is in two parts, the first part being 720 cms long (that’s like over 8 yards!). A very open plaid pattern, I love the play between the colors in the warp and the weft and the way the overall effect makes it look quite different than just green, red and white. For more photos of this peice, I will refer you to Etsy, where this peice will eventually be for sale. 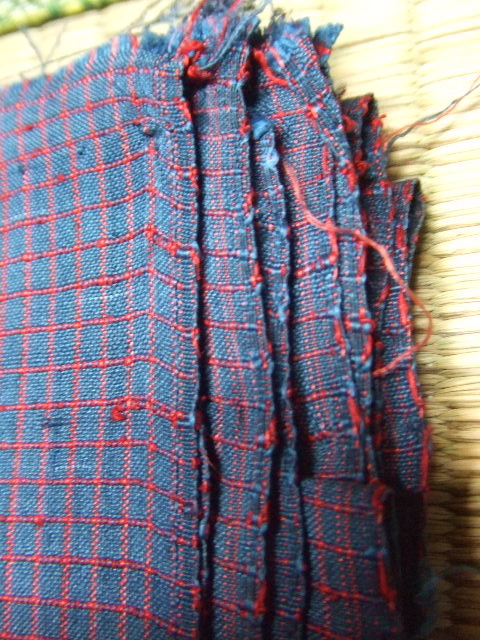 I will upload photos of one more homespun fabric I have, a dissembled, laundered and never re-assembled kimono. 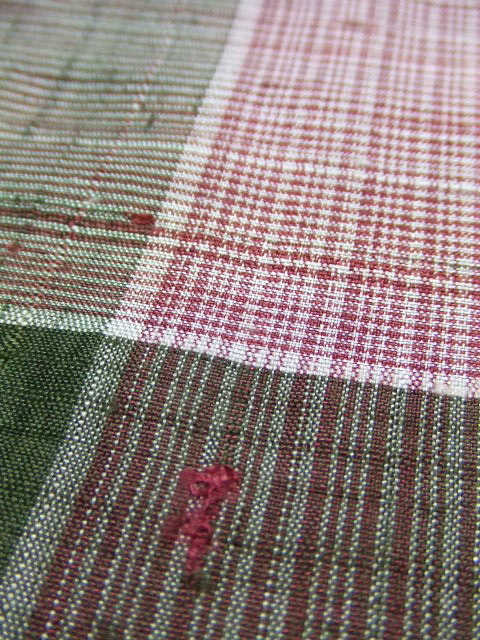 Ths was the first fabric to get me wondering and suspicious that the homespuns were right there, all around me! 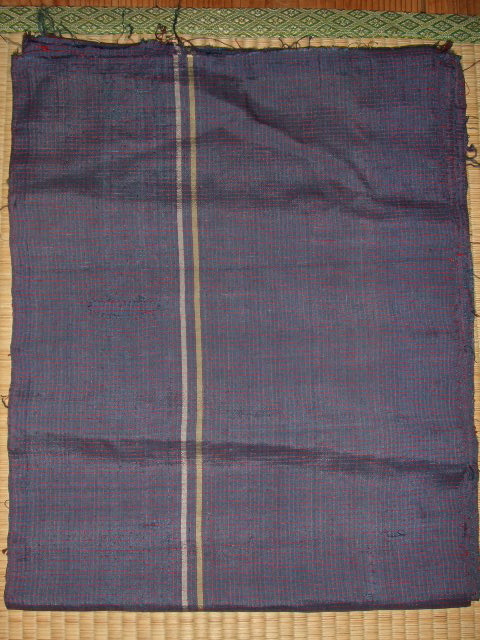 Notice that these fabrics usually have simple patterns, stripes and plaids that even the unsophisticated home- weaver can acheive. I love the flavor, the warmth and approachability of the rustic textiles!